Giving a gift in memory is a lasting and very special way to remember a loved one. It honours their memory whilst supporting a cause that was important to them. 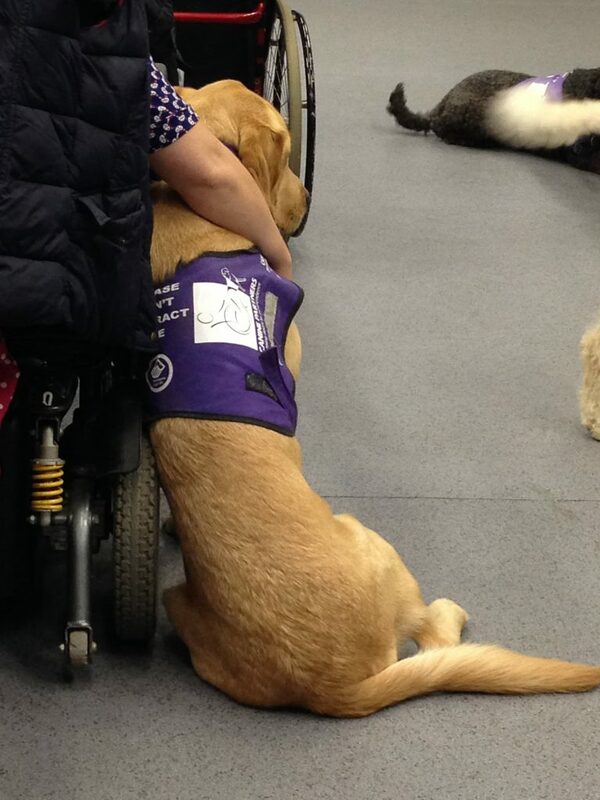 Donations made to Canine Partners in this way are deeply appreciated. Taking the time to make such a thoughtful gift will enable us to train more of our very special dogs to transform the lives of people with disabilities by giving them greater independence and a better quality of life. There are several ways you can make a donation in memory of your loved one. Our donation form is a quick and easy way to make a special gift in your loved one’s memory. Or make a donation over the phone where we accept credit or debit cards. Please call 01730 716026 and ask to speak with our in memory team. If you would like to Gift Aid your donation, please download an in in memory donation form. We also offer collection envelopes for friends and families to pay tribute at a loved one’s funeral. Family and friends can either hand envelopes to you or send them directly to us. To request envelopes, please either call 01730 716026 or email legacies@caninepartners.org.uk. Canine Partners works very closely with Funeral Directors who pass many donations to us on behalf of families who have lost loved ones and request donations rather than floral tributes at the funeral. If you run a funeral business and would like to display our collection envelopes of leaflets please contact us.